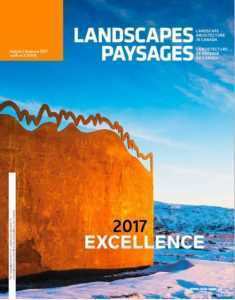 Virginia Burt Designs has been recognized in the Fall 2017 edition of Landscape Paysages (excellence, vol 19, no 3), the online magazine of the Canadian Society of Landscape Architects. The CSLA award recap features the Fowler Rooftop and the N. Residence. Please find the review for the Fowler Rooftop on pages 52-53 of the Fall 2017 edition Landscape Paysages (Click Here). Please find the review for the N. Residence on pages 54-55 of the Fall 2017 edition of Landscape Paysages (Click Here).